Shopping for a pre-owned car can be both exciting and scary. We here at DArcy want to take the fear out of the process for you! We research and inspect well over 300 vehicles per week, and only buy less than 10% of them due to our strict quality standards. Our inventory is not only hand-picked by experts, but every vehicle undergoes a Multi-Point Inspection by our first-rate mechanical staff. We will only sell the best most reliable pre-owned vehicles in the state of Illinois. We take pride in our name and the quality of service we provide. We look at each client as though they are family and strive for them to feel the same way. We call it the DArcy difference!! Please come experience it for yourself. We are conveniently located in Morris, IL near I-80 and Rt. 47. 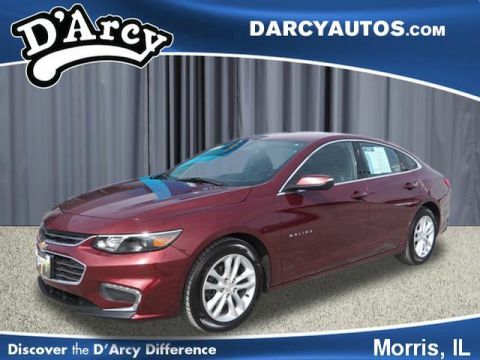 Check out how our clients feel about us on Google.This certified pre-owned 2016 Chevrolet Malibu in Morris, IL gives shoppers more for their money. This car is only three years old! 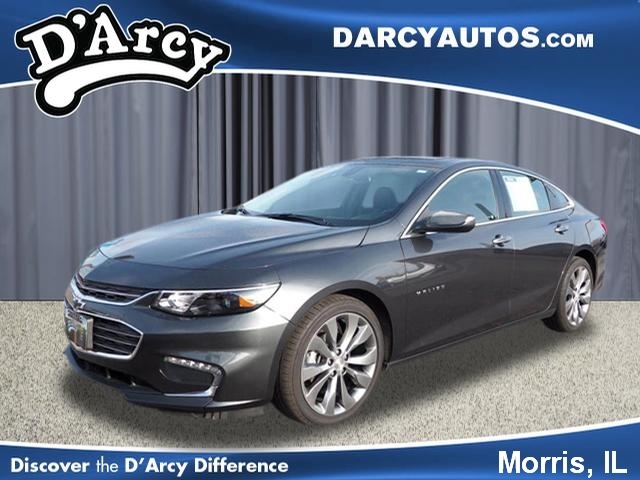 The 2016 Chevrolet Malibu offers drivers the following equipment: ABS Anti-Lock Brakes, Air Conditioning, Alloy Wheels, Auxiliary Audio Input, Back Up Camera, Bluetooth, Bose Sound System, Cruise Control, Heated Seats, Heated Steering Wheel, Homelink System, Keyless Entry, Leather Upholstery, MP3 Player, Multi-Function Steering Wheel, Navigation System, On*Star System, Power Lumbar Support, Power Moonroof, Power Seats, Power Windows, Push Button Start, Traction Control, USB Port, Wood Grain Trim Pkg. and XM Satellite Radio. With only 35,786 miles on it, this vehicle is set to take you on many road trips. Its a v4 Gray car that is easy on the eyes and easy to drive. 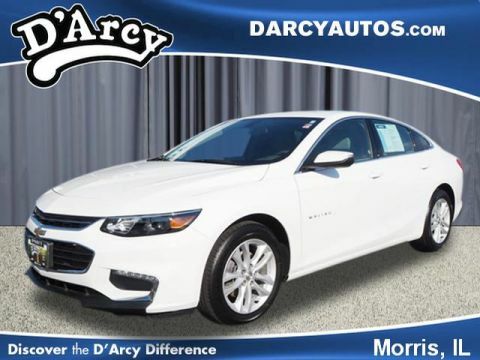 Interested in the 2016 Chevrolet Malibu? 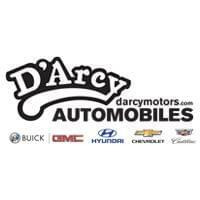 Contact D'Arcy Chevrolet Buick Cadillac and schedule a test drive.